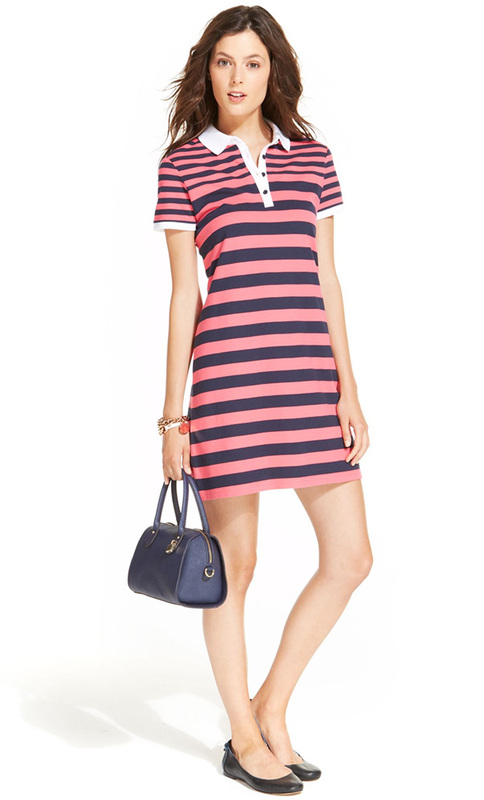 If you think that a polo dress will allow you to create purely sporty looks, this post will definitely prove it wrong. This particular outfit in will speak to many of you, as it is full of very elegant vibe – which is quite unexpected, isn’t it? I can clearly picture all the jealous and admiring looks you will get once you sport such an ensemble. 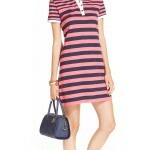 This loveliest polo dress in black and pink features a very simple yet engaging design. The short fit of the piece goes along with the white socks and embellished sandals in beige, whereas the trendy clutch in metallic complements the outfit in a gorgeous way. Here is a very sporty and casual look; however, it creates a very appealing image. A very stylish frock in dark turquoise is styled with red stripes across the bodice – this mere combination already makes one drool over the number. The way this piece is donned is another reason to fall in love with this look. You won’t spot anything except for a pair of ankle-high sneakers in powder pink and white that would complement this ensemble; yet, the composition looks incredible. 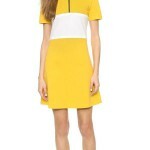 If you are a fan of stripes and unique designs, then you ought to go for this awesome number. The short-sleeved dress with a baggy silhouette features a short cut and an asymmetrical cut-out panel along the waistline. This detail is something that will keep you in the spotlight, regardless of the event that you attend. A pair of neon yellow twisted sandals finishes the cool number and makes it even more catchy and desirable. Color-blocking still deserves some more attention from our side, so why not to give a tribute to it? 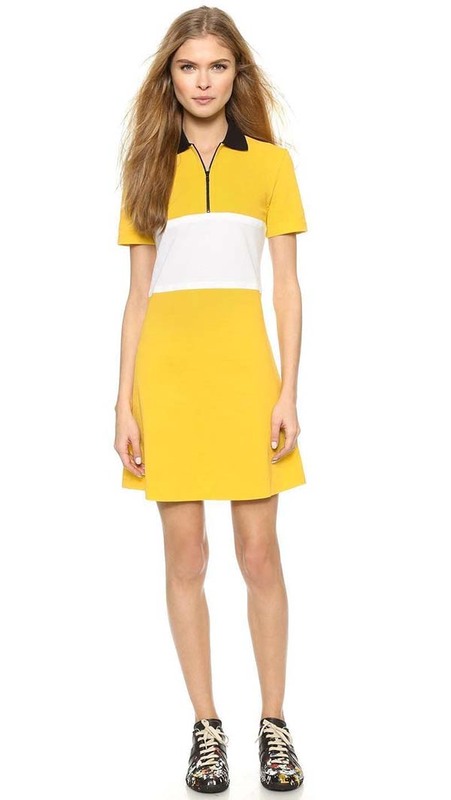 This astonishing piece with short sleeves, contrasting color and an A-skirt creates quite a strong impression. The item is presented in burgundy, blue and purple – a color palette that is not tapped that often. The ensemble also features a funky printed cap in blue as well as elegant black suede pumps. Khaki will also stay i vogue for a while, so it definitely makes sense to get yourself something in this stylish shade. Skimming silhouette along with short sleeves and a flare mini skirt go along in an excellent way. This is one of those pieces that actually do not need any sort of embellishment at all. Quite the contrary, the more simple you wear it, the better. Of course, there is no way we can rock such an ensemble all alone. This why you can see a pair of very comfy sandals in beige and black as well as Chanel quilted chain handbag. Feel free to follow your own inspiration and create some mind-blowing looks. Oriental prints have been on trend for a long period of time for now and I see nothing surprising in it. Humans were always obsessed with the treasures and idea of the East. So today we end up with astonishing designers’ collections that feature Asian motifs. In this case it is about a very delicate and exquisite design and I have no doubt that you will fall in love. 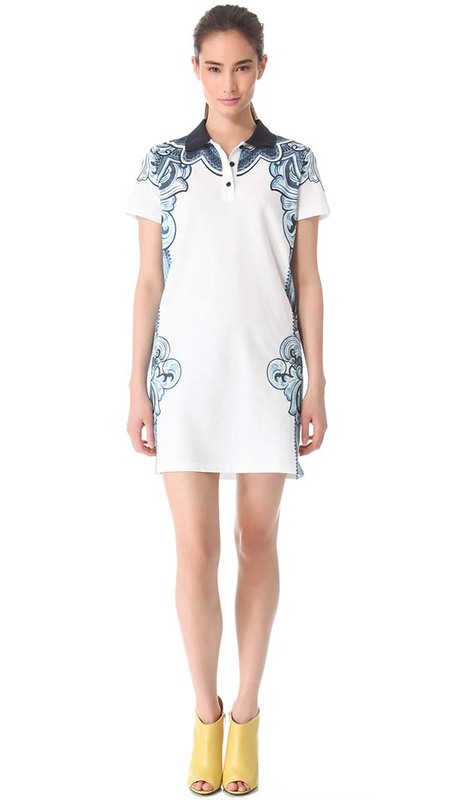 A cream frock in a very simple silhouette is paired with dark and light blue ornaments along the sides of the article. A pair of peep-toe shoes in lemon yellow is the only accessory that you will need. You can surely add some more embellishment and styling pieces and make this look even more irresistible and cool. 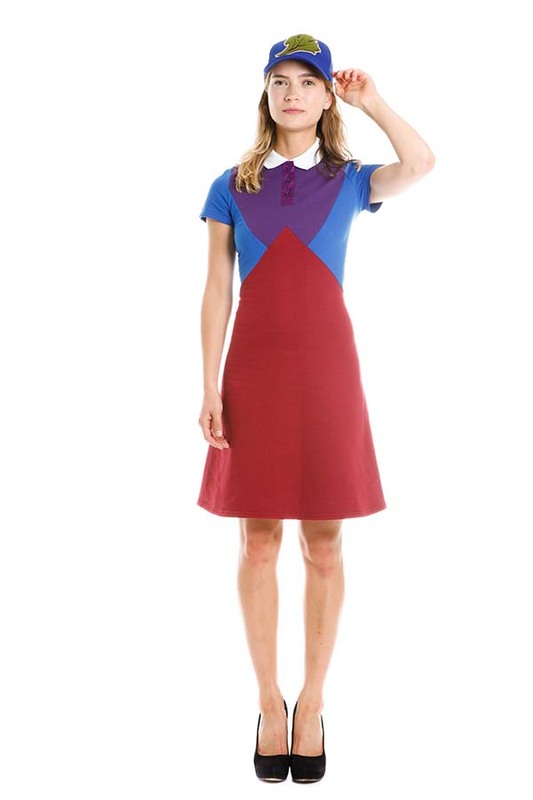 How do you find these astonishing polo dresses? In case you have not made up your mind about what you need to purchase, then scroll down through the gallery below and choose the look of the day!